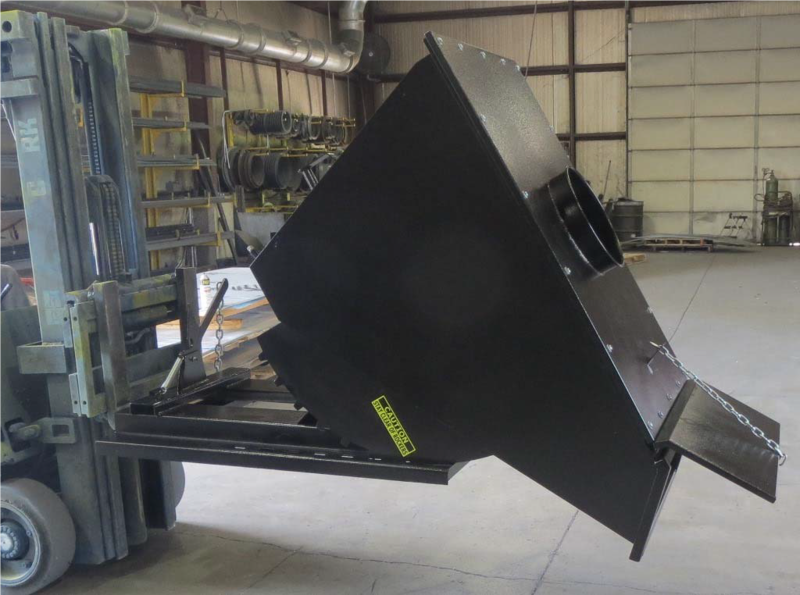 The E Z Dump Hopper is designed for dust collectors. •	4500 LB. Capacity (1 cubic yard). •	Water tight Carbon Steel Box 7 Gauge with 3/4" drain plug. •	3/8” Precision cut single piece rockers. •	3/16" Formed Steel Base - 38" W x 50" L.
•	Fork pocket opening 30”W x 2.75” H.
•	Sealed Top with 14”Ø Quick Clamp collar. •	Hinged clamp down Lid for dumping.